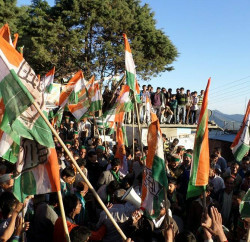 Shimla: Stung with the defeat of party official candidate for the important posts in the recently concluded panchayat election to the arch rival BJP, the Himachal Pradesh Congress has constituted a Fact Finding Committee to look into issue of cross voting in some Zila Parishad, Nagar Panchayat & Nagar Parishad and BDC elections. 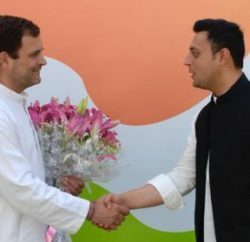 HP Congress spokesperson Naresh Chauhan said that the Fact Finding Committee would look into various complaints where party affiliated candidates have lost in the elections for Chairmen and Vice-Chairmen in some Zila Parishad, Nagar Panchayat & Nagar Parishad and BDC elections. 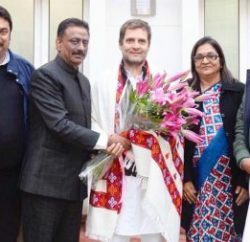 Ramlal Thakur, Harshwardhan Chauhan, Harbhajan Singh Bhajji and PCC Secretary Baldev Negi have been appointed members of the Committee and it would look into complaints of the party leaders. The Fact Finding Committee expected to convene meeting soon and would submit its report to state congress President Sukhvinder Singh Sukhu. Many Congress leaders, including Chief Minister Virbhadra Singh, have claimed of cross voting in the selection of Chairman and Vice-Chairman of some Zila Parishad, Nagar Panchayat & Nagar Parishad and BDC elections.